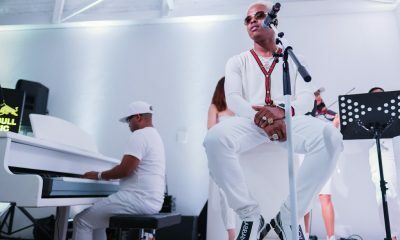 When we were at Nasty C’s Music, Art, Love exhibition at Kalashnikov Gallery recently, we were treated to a night of great music and art. But what was even more valuable was the insights he gave us into what is currently happening with his music career. Granted he touched on a host of other topics but the music is what will always resonate. 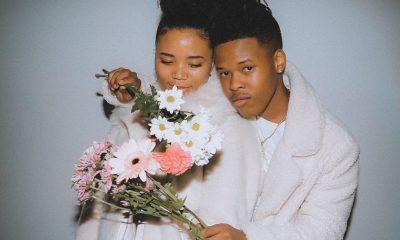 Nasty C broke down his current collaborations with some of the world’s greatest and celebrated artists. Late last year, the Strings & Bling rapper announced that he is working with T.I on a joint, his musical idol. That sent shockwaves through the entire industry because it was revealed that T.I is the one who reached out. How major was that? 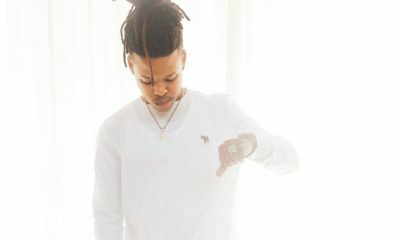 Nasty C spoke about how he felt when he heard T.I’s vocals on a track that he produced as well as how the entire experience was for him. On top of him working with Grammy winning rapper, T.I, Nasty C also let out big news earlier this year. A picture of him hanging out with Big Sean and No I.D in studio surfaced. Nasty confirmed that he is indeed working on a “secret project” with the legendary producer and Big Sean is on it. Peep the rest of the video!